Struggling to balance himself on the large oil drum, Seagull Number One shakes his head at the stretch of tar-colored sea around him. Boats come and go as men and women watch from a safe distance. Yet Seagull Number One doesn’t spy a trace of fowl in the sky, not even his own kind. Beasts with strange wings hover cautiously over the muck, every one oblivious to the pair teetering perilously below. Seagull Number Two looks on, a dense look evident in her eyes. Seagull Number One glares at her. “Since when did whales gather around some like that?” Seagull Number One gestures toward the black slick miles away from shore. A look of confusion lingers in Seagull Number Two’s eyes. The wind picks up, ruffling their feathers. A mix of salt and chemicals invade their nostrils, causing them to blanch. Seagull Number Two glances around nervously. He’s all too aware of the death toll. It’s been hard not to notice since the tar balls invaded inland. The sad warbling as seagulls lay covered in muck, struggling desperately to survive as they die a slow, painful death is hard for any of them to ignore. Rumors circulate of balls of black goo further inland, birds helpless in the face of the awful slick. Seagull Number One can already count on his webbed feet the number of friends who have perished and fled, and now his children are at risk as well. A plastic six ring floats toward them, bobbing on the ocean waves, dirty and dark. The pair looks on in horror. “No escape, is there?” Seagull Number One injects a bit of levity into an already traumatic day. Seagull Number Two teeters perilously on the drum, inches from going overboard. She struggles to maintain control, balancing herself on a single leg. She gazes into the murky depths below, wondering if she’ll be the slick’s latest victim, too. Her thoughts race anxiously. But mostly she thinks about the kids back in the marsh, waiting anxiously for their parents to come back and feed them. “Do you think they’ll think about us when we’re gone?” Her voice wavers. Yet even as she holds on for her life, there is only so much one bird can do. Her leg is growing tired under the strain. Seagull Number Two tries not to think about her impending doom. She thinks of the partner she loves, and the children she’ll never see survive to adulthood. “You know I love you, right?” She asks. A splash of water catches him off guard as a piercing squawk shakes him back into reality. He glances at his beloved, bobbing in the water, slick covering her all over. He dives for her in a bid of rescue, but already it is too late. She coughs violently before going limp, her lifeless body bobbing in the water. Seagull Number One’s last thoughts before blacking out are of their first meeting, several moons before. 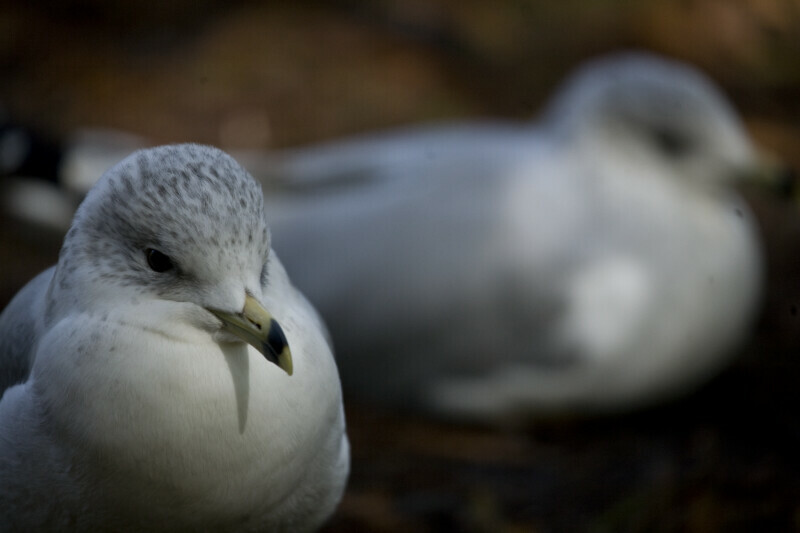 A harsh light blinds his eyes as Seagull Number One comes too on a cold slab. He squawks in an angry tone at the gloved hands scrubbing him down, but he’s in no position to resist. Fatigue washes over him as his rescuers douse him with detergent, working anxiously to clean him of the black tar covering his small body. There are sighs all around. “There’s hundreds more like him out there, you know.” The handler murmurs. “A tragedy and a farce…” The assistant shakes her head ruefully.